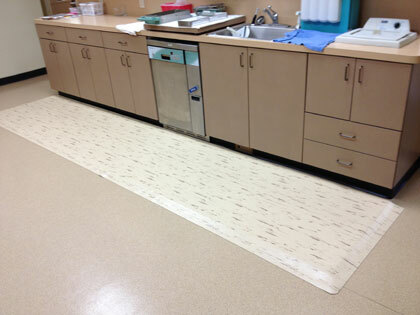 Marbleized Tile Top Anti-Fatigue Mats provide comfort for people who stand at counters, copiers, registers and kiosks. Marbleized Tile Top mats have a 3/32" heavy duty tile surface that is up to 90% more puncture resistance than other comparable rubber products. Surface is easily cleaned with most disinfecting agents. 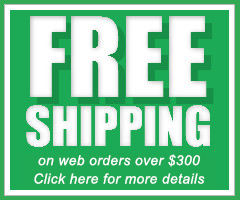 Now also available with a sealed non-porous base for laboratory and medical environments, the Dr. Stand Eze. Both styles are available in 1/2" and 7/8" thickness.